CAHEM is a start-up of virtual reality amusement parks, having started its activity in Normandy. The franchise, designed as a scalable and turnkey model, was extended at the end of 2019 to the Paris Region with the opening of one of the largest centres in Europe. 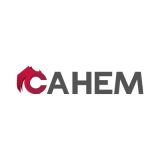 With its team of developers, CAHEM produces its own exclusive titles, available in single or multiplayer modes: shooter, role-playing game, arcade, or escape game. Most of the licenses are inspired by the myth of Cthulhu, the masterpiece and popular work of the writer H.P. Lovecraft. Believing in the development of esport in virtual reality, CAHEM is a permanent technological watch and calibrates its video games for this activity. 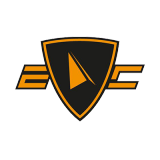 E-corp Gaming is the first corporate esports agency specialized in visibility and employer branding through esports activities: teambulding, profiling & recruitment, serious games, events for interns, organizing competitions. 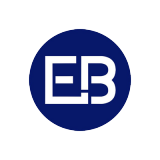 E-corp lets its clients and partners enhance their image and reach out to millennials representing their future consumers and collaborators. E-corp Gaming has created the largest university esports league, the Esport Students Series, federating 250 campuses with 2,000 students competing and more than 100,000 spectators each year. A true employer visibility tool, the competition’s physical steps lets recruiters meet candidates in a relaxed atmosphere. EYEBLUE offers you to combine comfort and protection in front of the screens thanks to its glasses designed for the greatest comfort and which protect your eyes from harmful blue light. Performance is the key to these high-tech glasses, which not only limit eye fatigue, but also preserve your visual capital in the long term thanks to the blue light filter of its lenses. Watching esports becomes an interactive, community experience. Gameblr Esports is the first 100% free betting game specifically for the esports community. 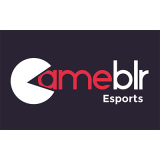 Whether it’s live, during a match, or while waiting for their favorite team’s next game, Gameblr lets esports fans challenge their community with questions on the match in progress, on their knowledge of the game, etc.… To share their passions and above all show who’s the best! - Measure themselves against their community, their friends and personalities they admire. For esports professionals, this unique tool gives a whole new dimension to events and benefit from access to new data. Become a winner, or just make progress as you play your favorite video games, anything’s possible...when you take private lessons with the champions! We all dream of upping our game, but it’s hard to learn the tricks and get personalized advice to improve. 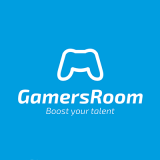 GamersRoom is the first coaching platform that lets anyone from beginners to advanced level gamers reserve online lessons with pros from the esports scene, selected for their technical and pedagogical skills. With GamersRoom, gaming fans have finally found an effective way to improve. Helping brands reach out to millennials – that is the SIGMA Esports mission. As consumer habits change, traditional media are having trouble reaching the 12–35-year-old segment. This phenomenon is the source of many problems today’s brands are facing. SIGMA Esports is the new generation agency with the answer to these issues: from defining strategy to rolling out projects, the company gives its clients access to the esports target audience and helps them meet the business challenges at hand. 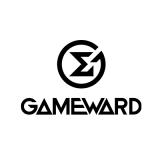 SIGMA Esports uses white and gray labelling, through its own media brand and professional esports club: GameWard, at the top of French ranking, now represents 13 players under contract, 3 coaches and 3 managers, as well as a full support staff. Consulting: Strategic consulting in video and marketing, and consulting in the field of esports and video games. Capture and production: Video capture, live or filmed according to client needs, and live video production. Content: Content creation, management, gaming event creation. 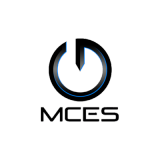 MCES is based on a conviction: esport is THE phenomenon of the coming years. This market, which is still in its infancy, is in the process of being structured and we wanted to make our contribution. After many years in the sports industry where we have trained thousands of children using football values, it seemed interesting to us to see how to transfer our knowledge to this "new world". MCES wanted a global project around training: from the youngest to the professional player, we apply methods that have proven their worth for decades in different sports. Esport players are athletes, artists and they need to be accompanied throughout their lives and at different stages. That's the MCES promise! Pantheon is a technological interaction tool between streamers and their communities. Winner of the 2018 IBM Watson Build competition, Pantheon’s AI detects a streamer’s desire to interact with his audience and translates it into a contextual question, delivered in real time during the stream through a Twitch extension. Resilient to subject change (and thus to the game) as well as device changes (streaming platforms, TV, etc. 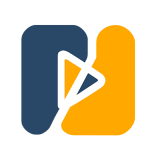 ), Pantheon doesn’t require any action from the streamer – thereby reducing obastacles to adoption. Pantheon helps spectators interact with streamers and influence their decisions, lets streamers concentrate on content and revenue, and lets broadcasters enhance their offers and audiences. How can you improve your videos, expand your audience and enhance engagement? Pictor Innovation creates solutions for interactive videos. The spectator becomes a proactive participant who can trigger interaction. In esports, spectators can follow their favorite gamers. They can also access more information than before, thanks to more detailed overlays. 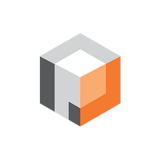 Our solution adapts to all types of interactive projects, letting you choose functionalities “à la carte”. Pictor Innovation uses artificial intelligence and the latest web trends to enhance innovation. Interactive video is the future of web media, and Pictor Innovation makes it possible for you to experience it! 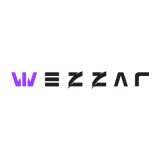 Wezzar develops online SAAS tools for competitive video game players. 3 tools have been (or are being) developed: A predictive analysis tool based on machine learning to predict the next moves and respond accordingly. A gamer search tool to play with like-minded gamers at your level. And a post-game tool to analyze your performance and up your game in the next round. 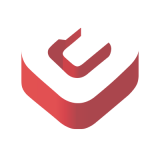 Wezzar has just developed scryer.gg, a platform that offers a prediction service and data analysis to help players improve their performance for all types of competitive games. This service is available as a web platform directly accessible via your internet navigator, but also on smartphones using a webapp. 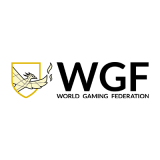 World Gaming Federation is a startup created in 2015 by 6 co-founders, now operating in 17 European and African countries.We have 2 main activities: organizing esports competition, and creating a social platform specifically designed for 2 million video game players. Over the past 3 years, we have organized more than 300 competitions for game publishers (Konami, Capcom etc. ), sports organizations (UEFA, CAF) and international brands (Orange, Coca-Cola, Adidas). We have raised €3.5M and are financed notably by BPI France and the European Commission. Our 5-year target is to position ourselves as the benchmark social platform in the video game market.